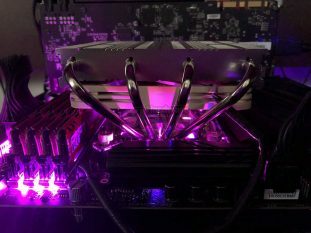 We installed the Noctua NH-L12S on a Gigabyte Z370 AORUS Ultra Gaming motherboard. We’ve also taken the opportunity to test this cooler on the new Intel i7-8700K, Intel’s CPU getting a lot of limelight just now. Oh, and we’ve left the lighting off when we took some pictures, the Gigabyte Z370 AORUS Ultra Gaming motherboard puts on a light show of its own! 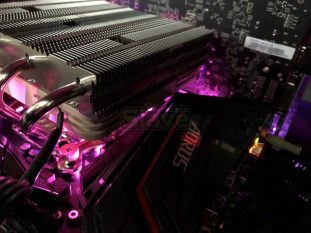 The Gigabyte Z370 AORUS Ultra Gaming motherboard has some raised heatsinks, which should challenge the NH-L12S and other low profile CPU Coolers, at least if they have a larger fan size. 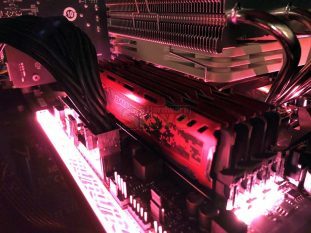 However, the installation was fine, the clearance above the memory and heatsinks is just about perfect, using standard height memory and the NH-L12S clears the GPU and heatsinks just fine. All while being in Low Profile Mode, with the fan mounted on the underside of the CPU Coolers heatsink.